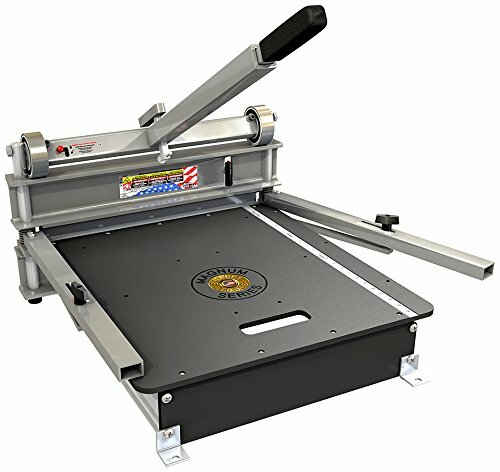 The MAGNUM Siding Cutter is a versatile, heavy-duty cutter for products up to 20 in. wide and 1 in. thick. The functional design prevents airborne dust in your work space and frees you from the hassle of electrical cords. This product is designed to cut fiber-cement, hardie board/plank, vinyl siding, OSB, trim and other products. Built-in AngleMaster dual fence system allows you to cut roof gable cuts quickly and easily. We're proud to make our MAGNUM shears right here in the USA, and offer a five year warranty.